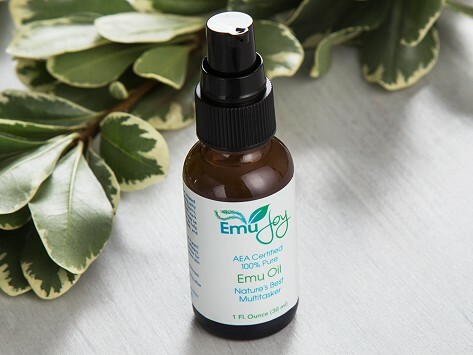 Treat your skin to the deeply moisturizing benefits of pure emu oil. The concentrate is packed with healthy fatty acids, so it absorbs well into skin—and can help other creams and lotions do the same. It’s anti-inflammatory, antibacterial, hypoallergenic, and non-comedogenic, and it’s a great way to soothe dry skin, rashes and more. Certified by the American Emu Association and Made in the USA.